Even as macular degeneration steals Terry Hansen’s eyesight and arthritis and other health problems slow him, the Santee resident is still crafting original wooden works of art that are beauties to behold. 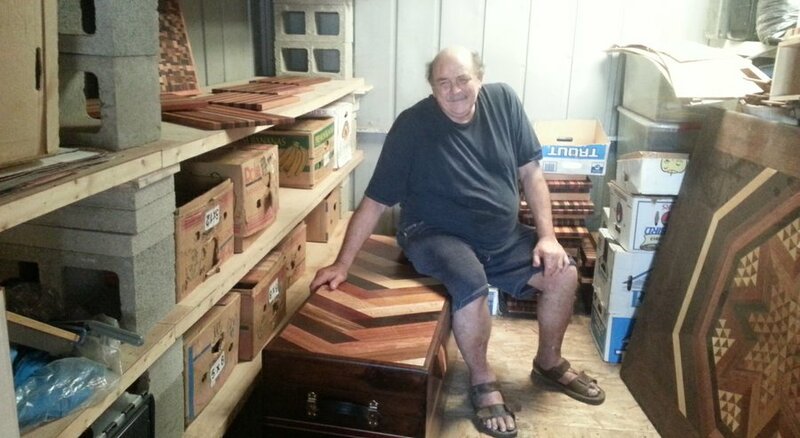 Even losing the top of his left thumb and full use of parts of his four left fingers from an accident three years ago, has not stopped Hansen from creating items from jewelry boxes to storage chests, from game boards to cutting boards, from small tables to counter tops. His items continue to draw applause, attention and awards at art fairs and craft shows around California and the West Coast. He is a featured artist at a show this weekend in Burbank.Hansen’s bursting star made of orange, padauk, purpleheart, maple, Peruvian walnut, wenge, bocote and cocobolo woods grabs attention in the front lobby at La Maestra Community Health Center in City Heights. Hansen is a wood inlay artist, who for more than 45 years has been piecing together, almost like a jigsaw puzzle, exotic pieces of colorful wood in meticulous detail. His abstract, intricate and unique geometric designs made from more than 70 kinds of colorful wood from around the world have won him ribbons at the San Diego County Fair and other local contests for more than 30 years. Inspired by M.C. Escher, Hansen works out of a soundproofed, modest garage studio near Santee Lakes, where colorful wood pieces are sorted out, stacked, separated and line the walls and floor. An electrical saw, knives and other cutting instruments and designing tools are at hand, as are special eye-wear and magnifying lenses to help him see. He’s not alone. Over the years, Hansen said his items have been bought by a curator at the Smithsonian Institution, sold to George W. Bush long before he was president, and have been shown at the Louvre in Paris. Hansen said he has made more than 43,000 items, not including wooden bars and wooden countertops, like the one he created in his garage for the kitchen of his rental home near Santee Lakes, where he lives with a roommate and four cats. In his bedroom, Hansen has an intricate multicolored dresser with several drawers that he built many years ago. On top of it is his most cherished creation, a beautifully crafted box holding his mother’s ashes. Hansen, a Michigan native and twice married and divorced with five children, has lived in Missouri, Florida and out of a mobile home as he traveled cross country for 15 years. Since coming to California, he has lived in several places in San Diego County. He said he first visited California 33 years ago, falling in love with San Diego. For a time Hansen said he lived out of his mobile home, but for nearly 10 years he also lived among the homeless in the San Diego Riverbed off Friars Road. Health issues and finances put him on the street, but with help from his family, he got back on his feet again. Since the mid-2000s, he has called Santee home. Another problem has arisen recently for Hansen. 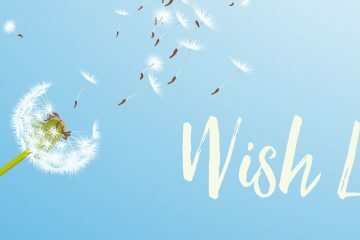 City officials have told him he is violating municipal code requirements for a home-based business, including not having a business license, noise and dust emanating from the garage, and an accessory structure in the backyard. Neighbors from across the street have attended City Council meetings to complain about what they say are traffic and parking issues related to his business. Santee Planning Director Melanie Kush said Hansen may have underestimated his hobby-turned-business. 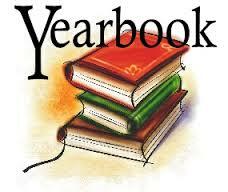 Do you have a yearbook from your years at a Santee, CA school that you don’t know what to do with? 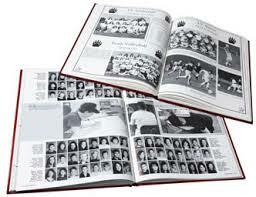 You don’t want to throw them away…they were expensive and carry some wonderful memories! But they are sitting on a shelf or in a box somewhere and you never look at them anymore. Call us at (619) 449-2024 … or drop it by the museum (the green and white Edgemoor Barn at 9200 Magnolia Ave.) Hours are as posted. The Santee Historical Society is a 501(C)3 nonprofit. Your donations may be tax-deductible. Our office in the barn can use some new indoor/outdoor carpeting installed. The carpet that is there is very old and very worn. If you have been in the Barn you may have noticed the throw rugs on various places. They are covering up the cracks in the concrete. We could use the donation of product and services to have the concrete floors coated.